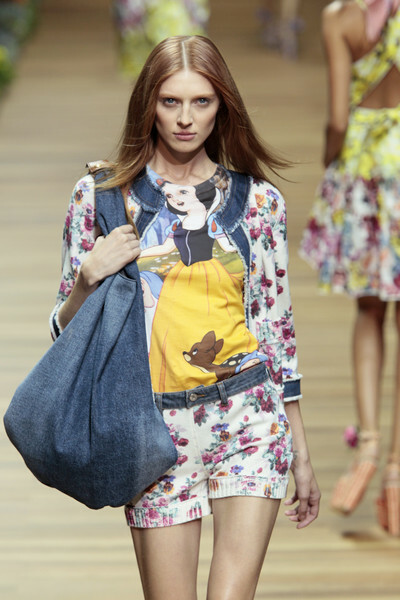 The D&G invite appeared to be a big hint on the theme for the actual fashion show. It had a colorful floral print and a little envelope with actual (floral) seeds in it. 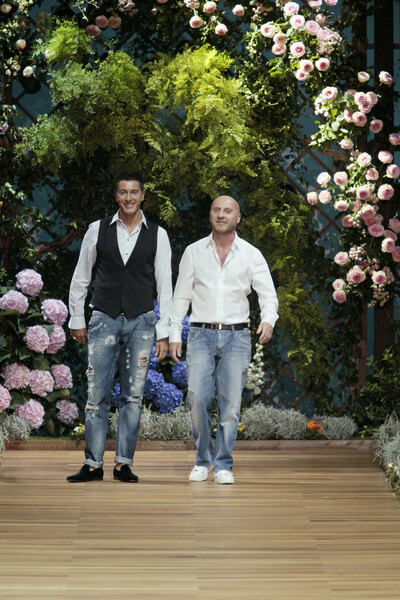 So when we arrived at D&G the whole show area was filled with the most beautiful flowers. 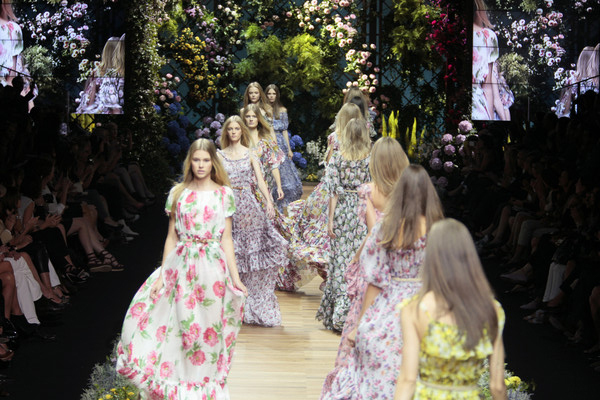 It was as if we had ended up in a fairytale, but in fact it was D&G’s spectacular Garden Party. Hurts’ Wonderful life came out of the speakers as the models came on to the runway. The fact that they wore floral prints too came as no surprise, in fact the floral prints were the main aspect of the collection. There were floral prints in every variation you could think of. They came by on tops, floor-sweeping dresses, jumpsuits, overalls and shorts, alternated by red and white picnic cloth checks and some images of Disney’s Snow White. Several lace outfits popped up too, as well as some patent red leather. Shoes with flowers around the ankles and headscarves, gardening gloves and tools completed the fresh-looking summer collection. 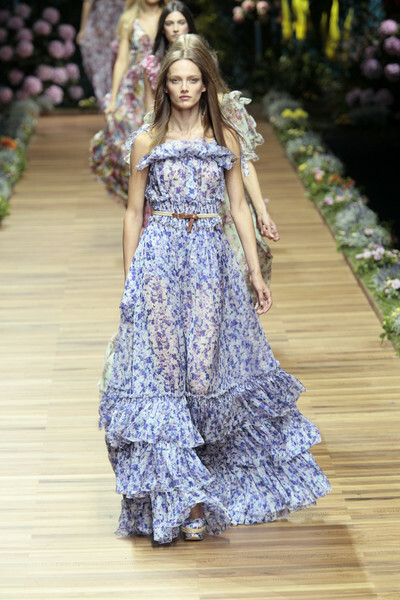 And just when we though it was over Stefano Gabbana and Domenico Dolce sent all their models out on the runway wearing ultra-feminine, long, airy, floral printed, seventies dresses, each with a different print and color. A perfect bohemian-chic ending of a great garden party full of romantic, yet playful designs.